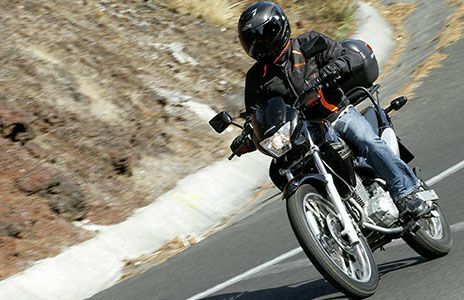 For many of you, there is nothing that can take the place of the freedom and exhilaration you experience on your motorcycle. We know all too well, however, that even a brief, careless act by another driver can cause you to suffer a terrible tragedy. If you have been injured in a motorcycle accident due to the carelessness of others, The Moody Law Firm, Inc. can help you obtain the compensation you deserve for your injuries. We know your rights, and we will fight to protect you. Don’t be taken advantage of by the insurance companies of the drivers who have already disregarded you on the highway. Our considerable knowledge of motor vehicles laws and vast trial experience will help you receive the compensation you deserve. The latest available National Highway Transportation Safety Administration (NHTSA) statistics reflect that the number of individuals injured and killed in motorcycle accidents has increased every single year since 1988. In 2006 alone, there were 88,000 motorcycle-related injuries and nearly 5,000 fatalities. Studies indicate that approximately three-fourths of these motorcycle accidents involved collision with another vehicle, which was usually a passenger automobile. In these multiple vehicle accidents, the driver of the other vehicle violated the motorcyclist’s right-of-way and caused the accident two-thirds of the time! The failure of motorists to detect and recognize motorcycles in traffic is the predominant cause of motorcycle accidents, and motorcyclists typically have less than two seconds to complete all collision avoidance action. Obviously, the likelihood of injury is extremely high in these motorcycle accidents--98% of the multiple vehicle collisions resulted in some kind of injury to the motorcycle rider, and 45% resulted in more than just a minor injury. If you, through no fault of your own, have sustained significant injuries in a motorcycle accident involving a collision with another vehicle, call The Moody Law Firm, Inc. today. Don’t let the at-fault driver’s insurance company victimize you a second time! We will fight for your rights.